Manchester United are adamant to taste their glory days yet again, and will stop at nothing in crafting a squad that will best aid them to attain the same. On this journey, if a long-time rival is trumped and bettered at their own game, the opportunity is unlikely to be passed. Following this philosophy, the Red Devils are all set to rival Liverpool in the pursuit to sign a player that the Merseyside club are desperately hoping to land. 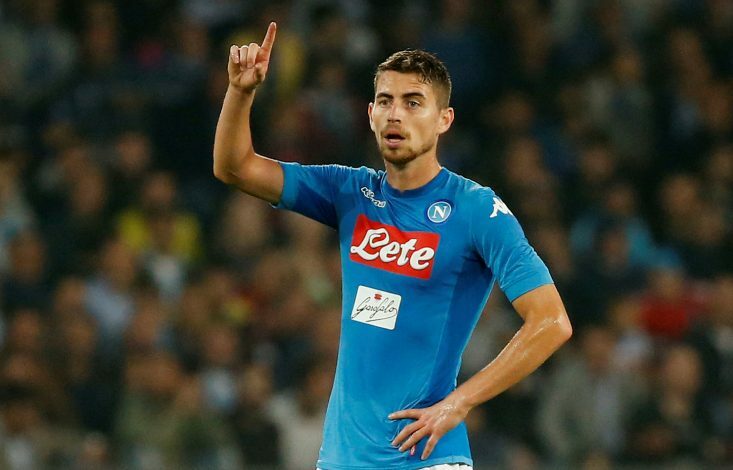 As per Daily Star, Jose Mourinho and company are willing to splash up to £50 million in order to secure the signature of Napoli’s stellar midfielder Jorginho. The 26-year-old is a talent that Klopp is a huge admirer of, but if United have their way, Liverpool could very much see themselves robbed of a worthy arrival. The source added that the Mancunians have already sent scouts to observe the progress of the individual this season. WATCH: How Can PSG Beat Real Madrid WITHOUT Neymar? The Italian international has made great strides in recent years, and his remarkable work ethic and tendency for total football would make him ideal for the Premier League. Further, with United all set to lose Michael Carrick to coaching duties and Fellaini to a possible swoop from Roma, the new signing seems paramount to ensure stability in their roster. To add to this certainty is Mourinho’s insistence that a midfielder will be the club’s primary pursuit in the upcoming summer window, as it is the area in which the Mancunian side needs reinforcements. Further, with the Portuguese tactician experimenting with numerous ways in which to lineup the heart of his team, having a player like Jorginho alongside Matic would do wonders to free up Pogba to wreak havoc in a more controlled and tactically sound manner. But it is highly unlikely that Liverpool will give away a player they have scouted this long happily to their rivals, and as of such, a bidding war is apt to erupt.